Lansing is the capital of Michigan, the only state capital that isn’t at the same time a county seat. The fact that Lansing is not a county seat may have to do with the fact that the city spreads into three different counties; lying mostly in Ingham County, the rest of Lansing stretching into both Eaton County and Clinton County. The official reason why the state government decided that the capital should be moved from Detroit to the more interior Lansing was that they wanted to safeguard it against any possible repeat of the Canadian capture of 1812. 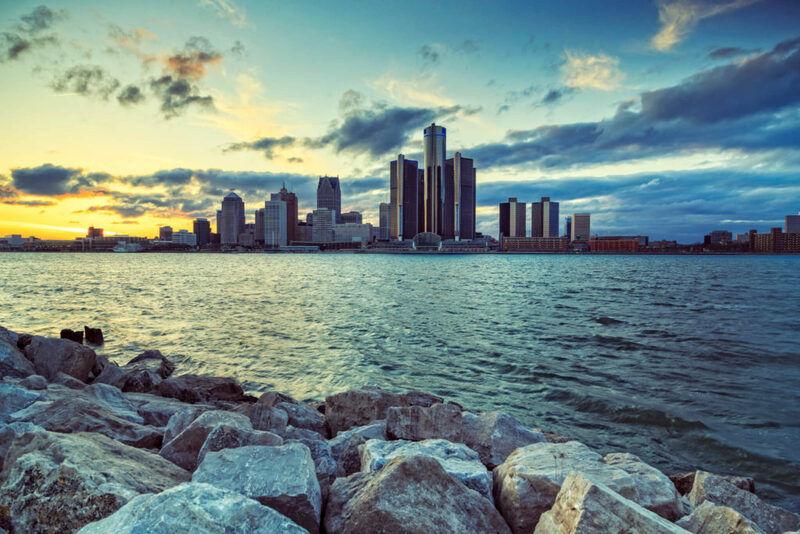 The United States recaptured the city a year later, but for Detroit the border of British-controlled Canada was just too close for comfort. Detroit was also seen as too big and powerful, at risk of exerting an unfair degree of influence on the state. If you live in Lansing, and have fallen victim to substance abuse don’t hesitate to seek treatment. There are enormous resources in at your disposal. The first European settlers in Lansing were victims of a real estate scam: In 1835 two brothers from New York cleverly marketed the piece of land south of where Lansing now sits, describing it as an area of 65 blocks with a church and a public square. When buyers from Lansing, New York, arrived to take possession of their purchased property they found that the land was part of a flood plain that sat under water most of the year. Some of the disappointed returned to New York, but nearly 20 others remained to settle nearby in what’s now downtown Lansing, naming it after their hometown in New York. In 2016 the population was 116,020. Education levels fit the national average. The number of foreign-born citizens is lower than the national average. The city includes at least 18 districts, including Colonial Village, Genesee, Lansing-Eaton, Old Town, and REO Town. Median and per capita incomes fall to quite a bit less than national averages, and the poverty rate is two times higher than in the United States in general. The rate of unemployment spiked in 2010 at 11 percent but has been dropping steadily ever since and now stands at 4.6—the lowest in the state. A new drug habit that has recently appeared is delivered in small metal containers holding nitrous oxide—commonly known as laughing gas—which is purported to grant a brief high. The little containers are better known as “whip-its,” and can be purchased at liquor stores and gas stations. Nitrous oxide is marketed to bakers for use as a foaming agent for icing and whipped cream. Because whip-its can be purchased by anyone they’re becoming popular among the young. And their danger is being underestimated: The high doesn’t last long and so people do many inhalations to keep it going, not realizing that they’re damaging their brain cells. Nitrous oxide has also been connected to anemia and convulsions—and is addictive. Michigan legislators are now trying to limit where the small canisters can be sold. A survey published by the National Institute on Alcohol abuse showed Lansing-East Lansing to have the highest drinking rates in the country. This isn’t too surprising a statistic, as the states with the highest drinking rates are in the Midwest. The numbers may also have been driven up by the presence of Michigan State University, the largest university in the state, where nearly three in every five college students between the ages of 18 and 22 consume alcoholic beverages at least once a month. The state of Michigan hands out harsh sentences for possession, and in the case of large seizures, charges of intent to sell or distribute are often added to increase sentences. Such charges can result in prison for life and up to a million dollars in fines. As for marijuana, even possession of small amounts can bring 20-year prison terms if intent to distribute can be established. The cultivation or manufacturing of drugs also invites aggressive prosecutions. In 2008 Michigan voters approved a medical marijuana statute. Dispensaries began springing up in spite of the fact that under the statute they weren’t yet legal. Early last year (2017), after more than two years of discussion, Lansing City Council capped the number of stores that could sell medical marijuana. It’s estimated that at the time of the ordinance there were 50 to 80 establishments selling medical marijuana in the city. The ordinance states that no more than 25 commercial establishments, or dispensaries, will now be allowed to sell medical marijuana and that everyone now running dispensaries must apply for a license if they wish to continue in business. The licenses will cost $5000 simply to apply, and being refused an application will only grant the applicant a return of half that sum. The ordinance will also require that those who grow, transport, test, and process marijuana will have to license the locations. All locations will also be subject to specified zoning restrictions. In November of 2017 Let Lansing Vote, a pro-marijuana group, sued the city for rejecting a petition to either repeal the above medical marijuana ordinance or bring it before voters. Lansing isn’t a High Density Drug Trafficking Area (HIDTA), but it hasn’t been immune to the epidemic of prescription opioids. By 2016 in Ingham County drug overdoses were the leading cause of deaths not related to natural causes; more people had died from overdoses than had died as a result of suicide, homicide, and automobile crashes. Around 85 percent of these cases involved heroin and other opiates. The average age of the victims was 40. If you’re in Lansing and struggling with addiction, you have a life-threatening illness that you can’t beat on your own. The drug has taken over, and without someone to help you up, you’ll remain a slave to a substance that can kill you. Contact us and let us help you find what you need to recover and thrive. The mentality and behavior of drug addicts and alcoholics is wholly irrational until you understand that they are completely powerless over their addiction and unless they have structured help, they have no hope. The Ingham Opioid Abuse Prevention Initiative formed in 2015 and was made up of law enforcement members, elected officials, and members of the justice system and medical community. They began by researching the problem but are now developing a system of solutions. In addition to a drop in the rate of violent crime, Lansing has also seen a reduction in the number of fatal opioid overdoses in 2017—19 as opposed to 21 the year before. There has nonetheless, been a rise in overdoses, 240 in 2017 compared with 145 in 2016. In other words, more people are overdosing, but their lives are now being saved. This is largely due to the availability of Narcan to police officers and emergency responders. The Lansing Police Department has now joined forces with the Michigan State Police as well as federal law enforcement agents in order to quell the rising tide of drug crime trafficking. Michigan is one of 20 other states which now designate the site of an overdose as a crime scene, granting law enforcement the right to carry out thorough investigations the moment an overdose occurs in order to hold accountable anyone who may have played a role in the substance abuse of the overdose victim. As in most states, if you sell someone drugs that kill them, you can be charged. In Michigan this charge is called “delivery causing death.” Previously no method had existed that could hold to account those recklessly endangering the lives of others with illegal drugs. The Michigan State Police Lansing Post is now offering “The Angel Program,” an initiative developed to help addicts get the recovery help without fear of arrest. An addict has only to approach the post and say that they have an addiction problem. Immediately volunteer helpers, called “angels,” get to work finding them the treatment center best suited to their needs. The Angel Program was developed in Gloucester, Massachusetts and has since been copied by police departments all over the country. Thanks to a team of medical researchers at the University of Michigan in Lansing, surgeons and patients can now go online to consult a list of guidelines as to much opioid pain medication is safe for 11 common operations. This is meant to take the guesswork out of prescription writing, granting patients only as much pain relief as they’re likely to need and no more, thus minimizing risk and lowering the availability of leftover pills. If the patient runs out they can always call back for more. The researchers had found that doctors were prescribing far more opioid pain pills than were necessary for certain surgeries. Half of the patients surveyed used no more than six opioid pills, whereas as doctors were normally prescribing fifty. The researchers also created an information brochure telling patients what to do with leftover medications, with a map to drop-off locations. In October of 2017 Lansing joined a number of cities and counties in suing pharmaceutical manufacturers and distributors. Lansing, like many American cities, has been spending hundreds of thousands of dollars each year to deal with a host of problems related to opioid addiction. Attorney David Mittleman compares the lawsuit to the Big Tobacco settlement of the 1990s, which brought more than $200 billion to 46 states, enabling them to cover some of the costs of the harm tobacco addiction has created among their citizens. University is often seen as a place where addictions begin, thrive, and prosper, and Michigan State is no exception. But this university now has a Collegiate Recovery Community, based in the Health Promotion Department. The CRC helps students seeking or undergoing recovery treatment for alcohol and drug addiction, enabling them to live clean and sober while completing their studies. The CRC provides peer support, referrals, social events, guided planning sessions, community service opportunities, workshops, advocacy, and a lounge space. Those addicted to opioids and heroin will typically relapse five or six times before they can finally kick the drug habit for good. “Harm reduction” refers to any practice that can keep addicts alive—and communities safe—until the addict can recover completely. In addition to causing overdose fatalities, the opioid epidemic carries the added danger of the spread HIV and Hep C via used needles. Ingham County already has the highest HIV rate of any city in Michigan outside Detroit. Studies have shown that rates of new HIV and Hepatitis C infections level off and decline in cities where sterile syringes are free and readily available. Another advantage of sterile needle exchange programs is that for an addict they’re often the first port of entry in the quest for recovery resources. As of last year the Ingham County Health Department and other local organisations have been working hard to set up a needle exchange program. The difficulty is that most cities and counties, including Lansing and Ingham County, lack the funds necessary for such programs. Federal funds can’t be used to purchase the needles themselves, but they can be used to cover the costs of services connected with syringe distribution. Lansing emergency first responders are now equipped with Narcan (generic name: naloxone) which can counter the deadly effects of an overdose if administered in time. In Lansing most Narcan doses—337 in 2017—have been administered by firefighters, but police, paramedics, and others also carry the drug. Narcan can also be purchased by friends and family members of addicts who fear an overdose, as well as by addicts themselves. Lansing is served by the 54B District Drug Court in East Lansing, Ingham County. As with all drug courts in the United States, the goal is to reduce recidivism by treating the addictions that compel addicts to commit petty crimes in order to feed their cravings. In addition, reducing the number of addicts reduces the demand for drugs, meaning less will be brought into the region. The court cooperates with the community in enabling addicts to go clean and live honest, constructive lives. Those seeking help in recovering from substance abuse will find a broad spectrum of treatments in Lansing as well as programs designed to address the specific needs of men, women, adolescents, the LGBT community, the deaf, or those with co-occurring substance abuse and mental health disorders, among other groups. Treatment plans include conventional medical and psychological approaches as well as a number of holistic alternative models. During assessment the patient is examined by a medical doctor to ensure that they are addicted and in need of help. The doctor will also determine if the patient is physically and mentally stable enough to undergo treatment. The doctor will interview the patient regarding their history of drug abuse and may also ask if the patient has been diagnosed with any mental health problems. A more detailed interview may be needed, or the patient will proceed directly to intake. During intake the patient will be informed about the program, advised as to what will be expected of them, told what they can and can’t bring into the facility, and probably be given an orientation session. Payment arrangements will usually be made at this stage. If the patient hasn’t already undergone detoxification tested drug free, they will need to go through detox now. Why? Because no recovery program can work if the patient’s body is not free of the substance to which they’re addicted. This is the point at which treatment truly begins. Detox means experiencing cravings and other withdrawal symptoms, which is why it’s necessary to do it under medical supervision. Medical personnel will provide a safe place and administer medications to aid the withdrawal process. At the same time the patient will receive group and/or individual counselling as well as education to help prevent relapse. In spite of this counselling and education short detox periods are seldom sufficient to keep addicts from relapsing. In fact it’s considered dangerous to release addicts immediately after detox because once the substance leaves their bodies their tolerance thresholds drop, making relapse dangerous and often fatal. Most experts insist that for recovery programs to work, they need to last for three to six months, and sometimes a year or more, and must consist of regular drug testing, accountability demands, work, education, and counselling as part of the treatment. The term “inpatient treatment” refers to any program in which the patient is required to live in a facility as opposed to simply visiting it. The facility might be a hospital, a clinic, or a residential treatment center (RTC). Such facilities keep the recovering addict safe from the dangers, triggers, and temptations that might lead them to relapse. Outpatient treatment refers to therapy which takes place during visits to a facility as opposed to a live-in arrangement. Such programs provide counselling, education, and other resources to those recovering addicts who are unable to leave home overnight. Intensive outpatient programs (IOPs) may offer more concentrated treatments during more frequent visits. Most experts agree that the patient’s chance of successful recovery is much higher when longer term inpatient treatment is undergone, but outpatient programs can provide helpful ongoing support to those who’ve successfully completed recovery programs. Sometimes even patients who’ve successfully graduated from long-term recovery programs need help staying clean and sober. Because of this they’re encouraged to set up and continue peer support in their communities even before leaving the facility. Peer support can come in the form of counselling groups or one of Lansing’s 12-step groups. Where can I find happiness? Now is the time to stop looking outside for a magic pill to make you happy. Contact us today to so that we can accompany and guide you on the amazing journey of your recovery!